For example, according to the Lovaas Center, the recommended amount of Applied Behavioral Analysis (ABA) Therapy, a common form of therapy used for autism treatment, is about 40 hours a week. Throw in trips to the neurologist, nutritionist, allergist, Occupational Therapy, Speech Therapy, food for special diets, and adaptive technology and accessories; we felt like our bank account was in a constant squeeze. It’s no surprise then that in a 2014 JAMA Pediatrics study stated that the cost of raising and supporting a child with an autism spectrum disorder (ASD) with intellectual disability throughout their lifespan was $2.4 Million and $1.4 million for an individual with an ASD without an intellectual disability. Ouch. Right in the gut. The numbers may seem large, but there are ways to make the process more digestible. Sometimes defense is the best offense. The importance of properly planning, saving, and investing is paramount, and the effort to minimize mistakes in these areas is equally important. 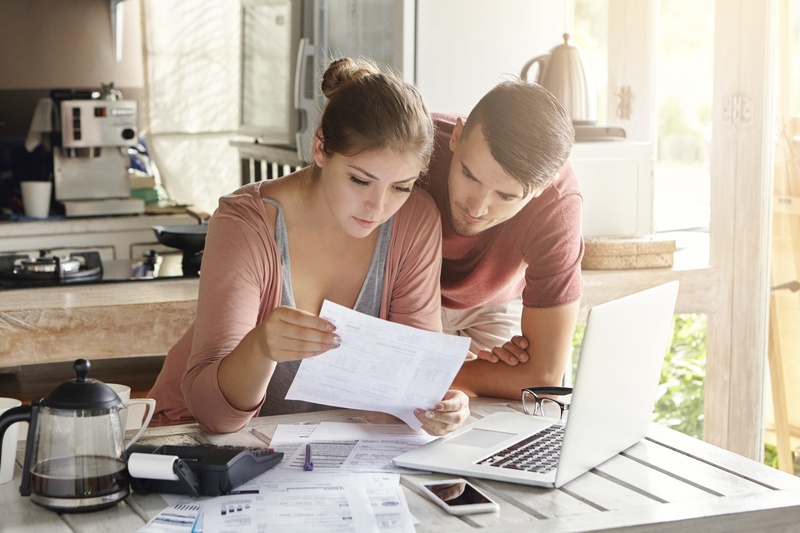 We need every dollar we can hang on to when it comes to the care of children and adults with special needs, so let’s look at some of the common errors that parents make when making financial plans for their children. Parents want the best for their children, right? We want to protect them and help them have a fulfilling life. This, of course, is true for parents of children with special needs as well, and certain considerations must be made to ensure this. It’s important that those who may be coordinating care or giving direct care for your child have the information necessary to provide the kind of life that you would like your child to have. A comprehensive Letter of Intent is a good start. A Letter of Intent is a “how-to” guide for caring for a child: What his or her preferences are, medical and other essential requirements, and how their “fullest” life would look. This is a key tool to reference as you make financial plans for your child. How can you plan for the funding of your child’s care if you don’t have the details of what it is he or she will need and want? This letter will be beneficial if you are drafting the specifics of a Special Needs Trust, something we will touch on next. When children with special needs grow to adulthood and require assistance with funding for essential items like food and shelter, they often look to federal programs that provide this support, such as the Supplementary Security Income (SSI) program and Medicaid program. The problem is that well-intentioned parents may inadvertently disqualify their child from this supplemental support by leaving funds in their name which place them over the asset limit for these programs. So how do you ensure those additional funds needed to sustain the care of your child above and beyond what these government programs provide? A Special Needs Trust or Supplemental Needs Trust is an excellent tool. A trust like this allows you to leave funds to the trust rather than directly to your child. In my practice, I’ve seen all too often a distant, well-meaning relative leave money directly to a child and put their benefits in jeopardy. In this example, establishing a trust and communicating this to extended family and friends will help ensure the protection of their benefits. Nobody knows what tomorrow will bring. It’s important to make sure that financial affairs are in order should something happen to you unexpectedly. The earlier a solid financial plan for your child is in place, the better. The absence of clear directives and a financial plan for your child could leave them without the resources to maintain the lifestyle to which they’re accustomed. Yes, supporting a child with special needs is expensive, but you do have time on your side. Again, enlisting a Special Needs Trust to begin your child’s financial plan is something many families choose to do. I know many parents assume it will take a lifetime of earning and saving to fund their child’s trust to the level necessary for their care. This is not necessarily the case if you plan properly. As I mentioned in a previous blog post, one option for families is to make their child’s special needs trust the beneficiary of a life insurance policy. Life insurance can give parents the reassurance that if something were to happen to them unexpectedly, that their child’s trust would receive enough funds to cover their care. Take the time to shop around for policies and enlist the help of a fiduciary financial advisor to help you navigate your options without the pressure of a commissioned salesperson. The process of planning for a child with special needs requires a good bit of technical knowledge and specific professional expertise.Parents are taking a risk going at this alone. Again, you can use your financial planner as your ally in this process. You and your advisor can coordinate what needs to be done with outside specialists if need be. Professionals that specialize in different areas can help guide you through this process, so don’t hesitate to reach out to them. For more information about making a financial plan for your child with special needs, call FamilyVest today for a free consultation to assess your needs.